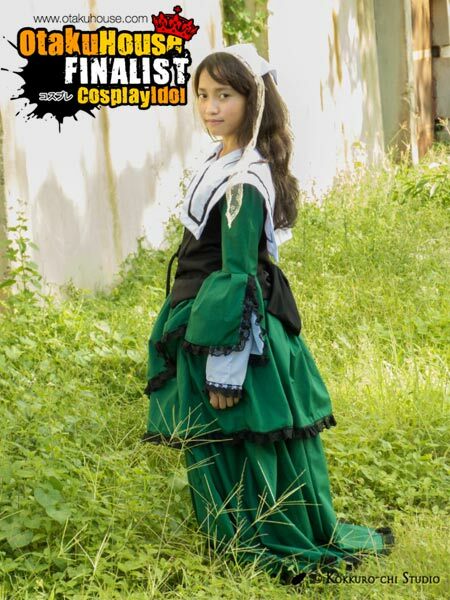 Hi I’m Kim a cosplayer from Philippines, I would like to thank you all from the bottom of my heart for all the support that you’ve gave me as I’ve included on one of the Asia Pacific Finalist of the Otaku House Cosplay Idiol 2013. I hope that you will continue supporting my entries here. I hope I can meet more friends with the same interest as I do. Again, thank you everyone. Description: It’s my first ever cosplay since I started last year. I loved how this character turned to be an epic shot. 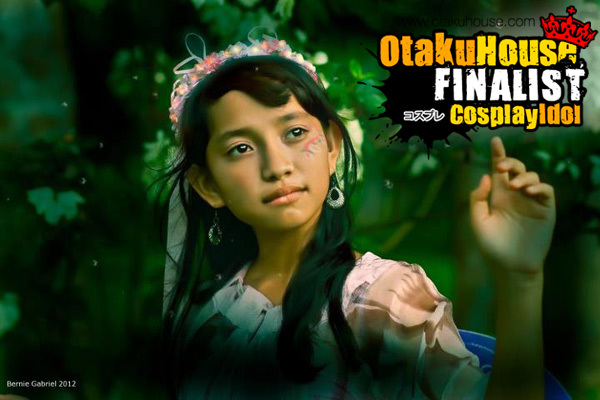 I really loved anime and cosplay. I would like to thank my brother for encouraging me to cosplay. This character was based on the original story that my brother wrote when he is in college entitled The Lost Maiden. When I see this picture I am amazed of how nature brings a wonderful background for this one even the lights coming from the sunlight was so beautiful. It feels like I’m becoming a part of the surrounding as it’s guardian. And my costume, we put an effort of looking for a perfect dress for this fairy costume. Thanks to my brother’s friend for helping me out on this character in terms of makeup and hair style. Description: Suiseiseki is one of my favorite character from the series Rozen Maiden. When my brother asks me which character I would like to cosplay, I suggested this is one I should pick for my next cosplay plan. This was taken by our lovable photographer who passed away last March 2013. I really missed our sensei so much. He is the one that influenced me to pursue my hobby of cosplaying. And as of now, I’m happily continuing this hobby. Little by little I’m starting lo learned the makeup of the character that I will cosplay. Description: I am also a gamer. Ragnarok Online is one of the Online Game that I got addicted. But it turned out that I loved the monster rather than the job characters I got played with. And this character is one of the MVP Boss of the game, The Mistress. She is the queen of the hornet and can summon them when she is in danger. When I heard that the setting of the place would be waterfalls, I suggested that I would play as The Mistress, because I believed that it would be perfect for its themed and surrounding.